Everyone I talk to and everything I read says “do not weight yourself everyday.” Well, you know what? I weigh myself every day. If I didn’t I think I’d weigh a ton. My eating doesn’t always correspond with my weight gain and it helps me to have a regulator. Weight can fluctuate from day to day depending on several factors such as alcohol intake, salt intake, water retention, hormones, the moon time for women and on and on. I have kept a record of my weight in a notebook, off and on since September 2006. It motivates me to shift my eating and increase exercise. I understand that weight fluctuates. Weighing myself is a symbol, a way to chart, and a measurable goal. I don’t want to take my measurements daily. The scale is great feedback. As I look back over my daily weight chart, I see that my lowest recorded weight was on November 19, 2008. I wonder what was happening then. I’ll have to go back through my journal. 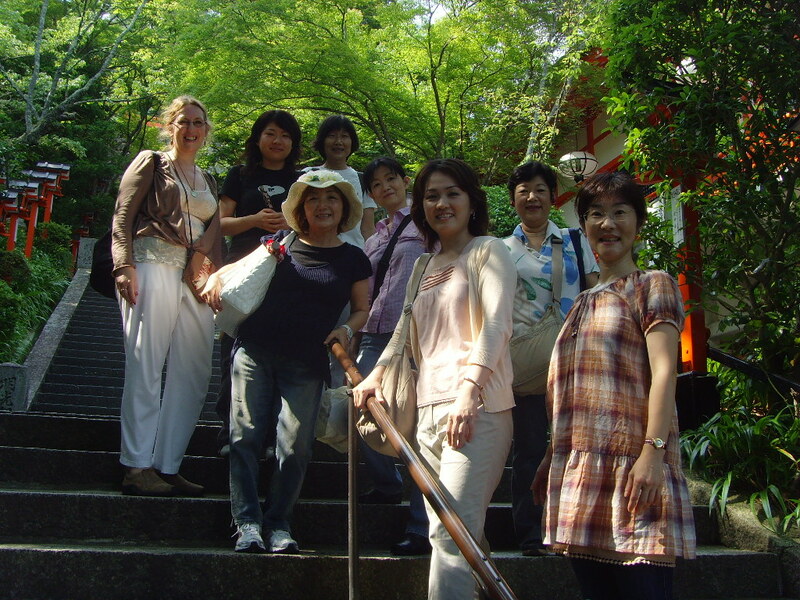 That was the year I traveled to Japan and also Ireland to facilitate workshops. It was a fun year. When I told Luke, my trainer that I weigh myself daily, he shared it would be a good idea to compare my weight from one day of the week to the next. I thought this was brilliant. So this Wednesday morning I weighed myself and compared to last Wednesday. I am down three pounds! Now, Domingo is ready to walk me and then I’m off to the gym to see Luke! Weigh or not, you can find the measureable feedback you need to keep yourself on track. In another blog I’ll talk about loving self-talk. This is critical to a healthy shift in your weight. In the last blog I gave you some information about the Saboteur Archetype and encouraged you to use the information to explore within yourself in the privacy of your journal. Today, I am focusing on the Victim Archetype. This information comes from information from Caroline Myss’ work in her Sacred Contracts book and the classes I took from her on Medical Intuition and Sacred Contracts. I have also added information that I have gained from working as a mental health counselor and chemical dependency professional for over 20 years. Remember that we all have 4 archetypes that we share. These are the Child, Victim, Saboteur and Prostitute. Each of these archetypes have a positive side to them and with the Victim it is Self-Esteem. This would be the other side of the victim. The focus of my newsletter is All Healing is Self-Healing. This is also the focus of my book 12 Weeks to Self-Healing: Evolving Through Chronic Pain. In the process of self-healing, you have to come to terms with your victim self and move beyond this state of being. You can identify your victim, confront the behavior, love and forgive yourself and bring your energy into present time. In fact, unless you can bring at least 80% of your energy into present time, you will not have the power to self-heal. What do I mean by bringing yourself into present time? Watch your thoughts. Do you go off to the future (which can create anxiety) or drift off to the past (which can cause depression) or are you able to be present in the moment? I will write more about present time, but for now, enjoy exploring this archetype that can bring you high self-esteem once you embrace this part of yourself and move on! Core issue is whether it is worth giving up your own sense of empowerment to avoid taking responsibility for your independence. When you don’t stand up for yourself after awhile you no longer can tell the difference whether you are being victimized or not; so either you are being victimized and don’t know it or you are not being victimized, but act as if you are. The victim archetype helps you decide what you will or will not do; a guardian of personal boundaries. Lessons associated with the victim archetype demand that you evaluate your relationship to power, especially with people with whom you have control issues and have to set boundaries. Primary objective is to develop self-esteem and personal power. You have contracts with people whose primary purpose is to help you develop yourself-esteem through acts of honesty, integrity, courage, endurance and self-respect. The victim will entice you to feel sorry for yourself. You can act like a victim and give in or call upon your companions and guides for help. Like the lion in the Wizard of Oz, you need to have the courage to look at your victim and make it your ally. Do you victimize yourself in the way you interpret conversations with other people? Does your victim alert you to protect yourself rather than letting people take advantage of you? Does your victim motivate you to be shrewd in the dealings of whatever house it is in? Does your empowered victim allow you to take risks in your life? The victim urges us to act appropriately when we are in danger of being victimized. The victim can alert us to being victimized through passivity and rash or inappropriate actions. It can also alert us to how we victimize others for personal gain. In shadow it may show how we play victim for sympathy or pity.